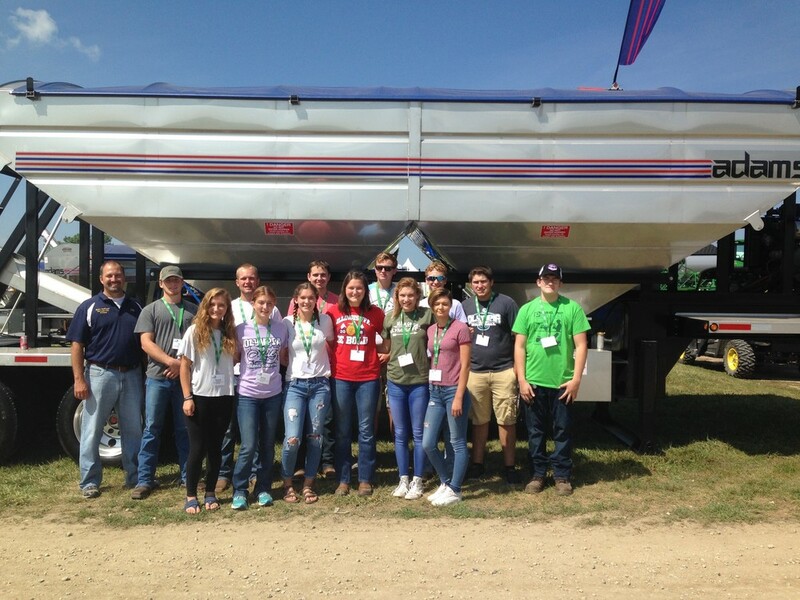 On Thursday, August 23, the Olympia FFA Chapter took 13 upperclassmen to the MAGIE Expo. From the interactive “ride and drive” venue to the exhibits that display exhibitor’s innovations in building, blending, measuring and applying agrichemicals, it’s all at the MAGIE Expo. The MAGIE show supports the best equipment offerings in the fertilizer and chemical industry and brings together the best companies and employees in the crop production supply and service sector. The future is bright for those who excel in the agriculture sector. Leslie Forrest, of the Illinois Fertilizer and Chemical Association organized the trip for the FFA members. She made them all a fun scavenger hunt and coordinated with exhibitors so that each member received a free lunch. At the show the students got to learn about chemical/fertilizer equipment at different booths and they even got to drive various pieces of equipment. Reece Douglas, junior, said that his favorite part of the trip was getting to drive the $600,000 John Deere sprayer. There were multiple types of farm equipment including some from John Deere, Doyle, and Agricover. There was also a lot of free food and other items at the MAGIE show. Jessi Beachy, senior, said that her favorite part of the day was eating a pork chop on a stick from the employees at the Doyle booth. 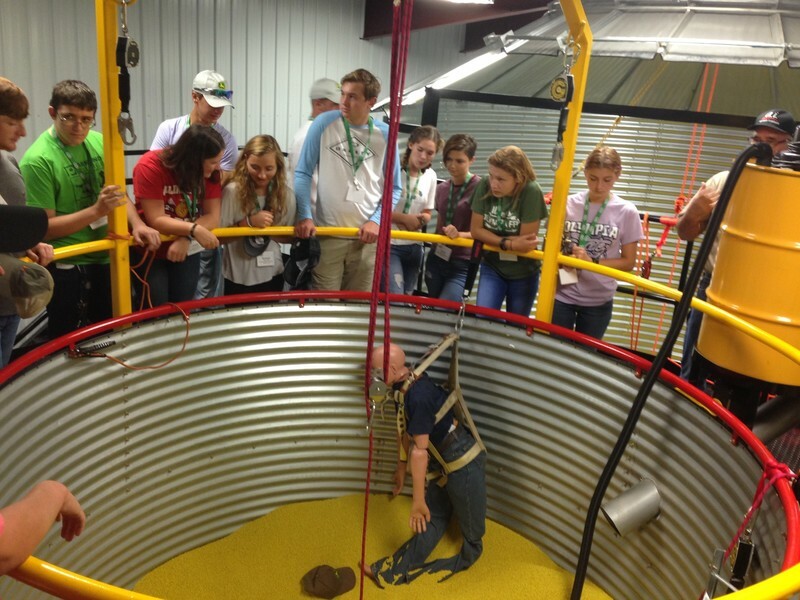 The FFA members were also able to learn more about general safety including chemical application and grain bin rescues by visiting the Asmark Institute. The Asmark Institute Agricenter is a 20,080 square foot training facility constructed on a 4.2 acre lot in McLean County. This unique training complex is home to several Signature training courses including the R. C. Smith Ammonia Technician Course. Overall the students said that the MAGIE show and touring the Asmark Institute in Bloomington was a great learning experience and was very fun.